The religious festival is intended to welcome the arrival of spring whilst also celebrating fertility, colour and love. 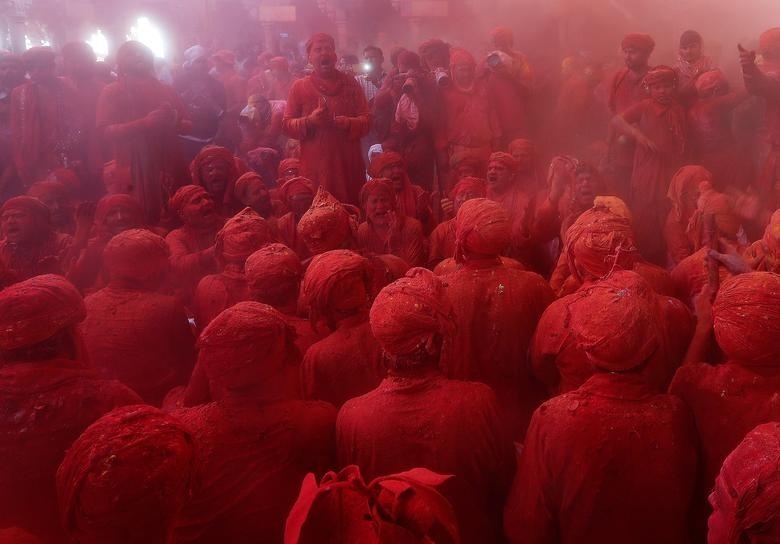 Celebrated mainly in India and Nepal, worshippers mark the event by throwing colourful powders at each other. 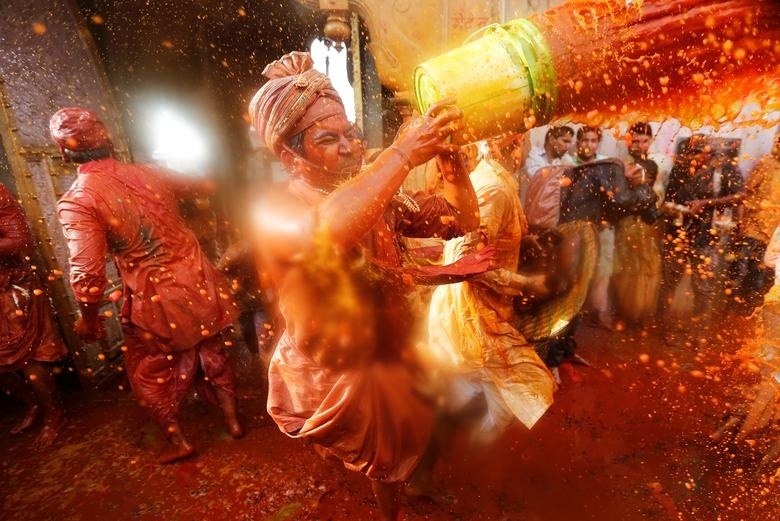 Thanks to this unique festivity and its joyful atmosphere, similar Holi events take place in cities all over the world. This year, Holi begins on Wednesday, 20 March and ends on Thursday, 21 March. The festival celebrations start on the evening of the full moon that comes in ‘Phalguna,’ which is between the end of February and the middle of March. Over the two days, the festival is split into two events. The night before the main festivities is referred to as Holika Dahan and is when people traditionally gather around a bonfire to celebrate the victory of good over evil. The following day is known as Rangwali Holi, during which huge crowds gather and colourful powders known as gulal are thrown into the air. 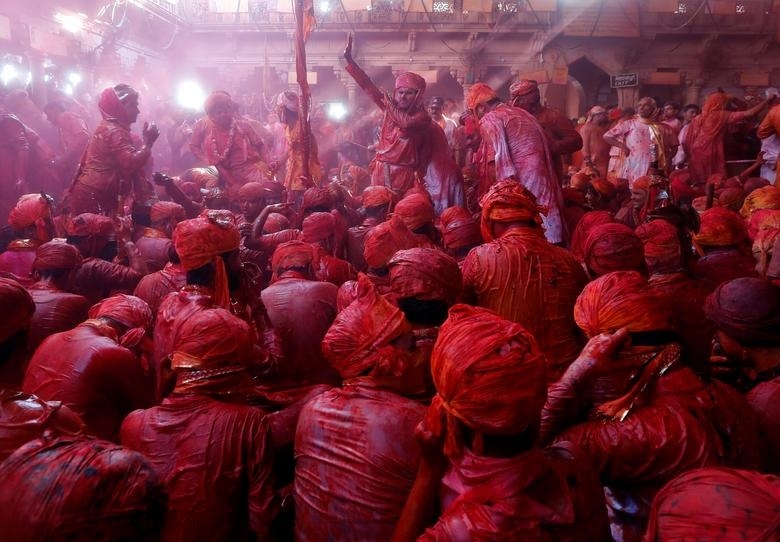 This is the event for which Holi is most renowned. Why do Hindus celebrate Holi? 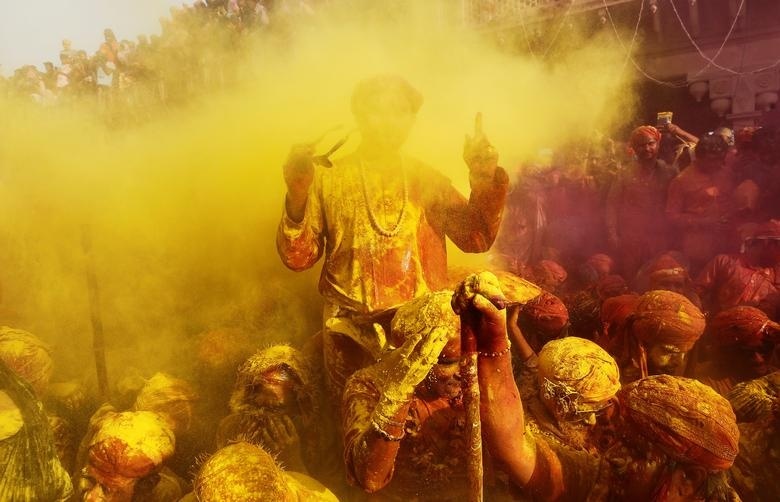 The origins of Holi can be linked to various Hindu legends, although one in particular appears to be the most well known – the Legend of Prahlada and Holika. Holi derives from the name Holika, who in Hindu legend was a female demon and the sister of Hiranyakashipu, a demon king. Hiranyakashipu was immortal and believed himself to be the ruler of the universe. Appalled by his evil wielding of power, his son Prahlada refused to acknowledge him as his ruler and instead worshipped the Hindu god Vishnu. Aware of his deviance, Hiranyakashipu and Holika plot to kill Prahlada by burning him alive. To protect herself from the fire, Holika wore a magical shawl but as the fire burned, the shawl flies from her shoulders and onto Prahlada, resulting in her perishing in the flames. Lord Vishnu then appears as half-lion, half-man and kills Hiranyakashipu. After his death, Prahlada rules as king in his father’s place. The legend represents the triumph of good over evil and is heavily linked to the Holi festival. Another legend from which Holi draws its origins is the love story between Hindu deities Radha and Krishna. In the legend, Krishna is embarrassed by his dark blue skin and worried that his love Radha would not accept him. His mother tells him to colour Radha’s face in whatever shade he wanted and when he did the pair fell in love. The legend of Krishna and Radha still lives on during Holi and it’s traditional for lovers to paint their faces the same colour. The bonfires lit during Holika Dahan are meant to symbolise Holika’s death and sometimes worshippers mark their faces with ash to represent purification. After Holika Dahan, Hindus take to the streets to sing, dance and throw coloured powder at each other.